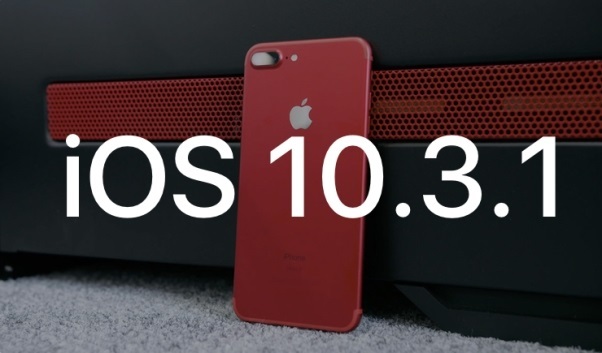 Latest updates on iOS 10.3 and iOS 10.3.1! On the 27th of March Apple has able to released the latest version of the beta series as iOS 10.3 with some major improvements such as Siri cricket score improvements, new widgets, a new approach to Apple File System (APFS), Find my AirPods to locate them and more.Just after a one week they this great mobile company is coming up with the idea of iOS 10.3.1 as a minor update which patches the security issues and with bug fixes. But Apple mobile has not confirmed this release yet but Apple lovers around the globe has already surprised with this unreliable new source. According some of these clashing news Apple is going to come up with this by enhancing the WiFi flaws and by finding the complete solution for the dropping support for the 32bit apps which can be seen in iOS 10.3. So we can hope for availability of jailbreak iOS 10.3.1 in coming future and wish it will not take much more time. Since Todesco has raised hope for Yalu jailbreak, we started getting questions about Jailbreak iOS 10.3. But seen the firmware yet to be public, can we expect jailbreak iOS 10.3? Possibly yes with time ahead. As seen amazing facts born in the jailbreak community, we could expect another big Cydia chapter with upcoming iOS 10.3 too. Even it could not be from same Yalu, there can be more surprising tool updates ahead. So keeping all them in mind, let’s have a quick look at iOS 10.3 Jailbreak Tweaks which you can add once you are confirmed jailbreak for iOS 10.3. So read on as we here bring you some interesting apps for your iPhone/iPad/iPod Touch which have been discussed best for iOS 10 with the rise of Todesco’s Yalu. Todesco’s iOS 10.0-iOS 10.2 Yalu is still a beta but seems stable for use. And with the word of developer himself, the tool can be used for fine Cydia Download for all technically allowed. But as seen in the initial beta builds, iPhone 7 jailbreak (on iOS 10.2) still not supports beta 7 but can be expected in the time ahead. As iOS 10.3 is yet to be public, we are not revealed Yalu support for iOS 10.3. But as it gives no compatibility for versions above iOS 10.2, jailbreak iOS 10.3 will come a different work plan for iOS hackers and all fans. So keep looking for all fresh facts to know when will Yalu finally be launched and hackers turn above 10.2 jailbreak. iOS 10.3 Jailbreak Tweaks- What do you love most? Apple has released this version with some brand new features but would that be able to keep the user from jailbreak iOS 10.3? It would hardly be a “Yes” as there are many users even now looking for what best tweaks available to get, once iOS 10.3 is jailbroken. So knowing the true admiration of the user, here are some best iOS 10 jailbreak tweaks which would be important to know once iOS 10.3 Jailbreak Tweaks allowed the download. So check them out. Seeing Yalu at the peak of betas and active questions on iOS 10.2.1-iOS 10.3 jailbreak, we find many notable additions every day in the side of Cydia. So as always, here we come with some pretty interesting new releases which would be soon get added to iOS 10.3 Jailbreak Tweaks. So let’s see what are they. This is a new release in the side of Cydia especially focusing iOS 10. The tweak is for control center customization which allows the user to combine all of the pages in Control Center into one. 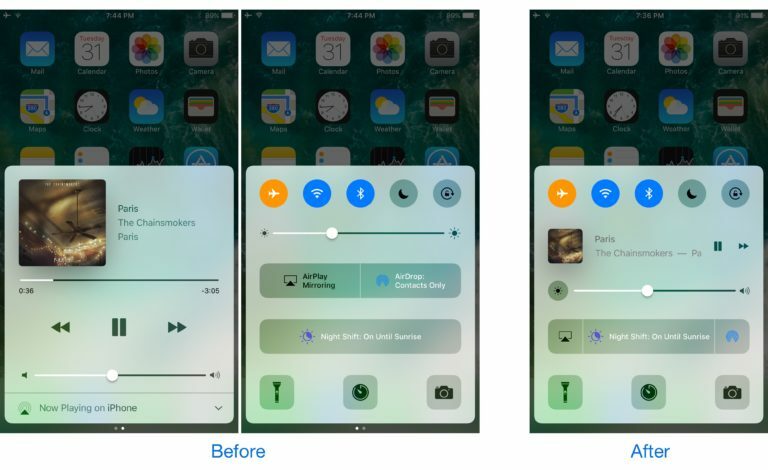 So it will add more glamor to your iOS 10 Control center with ease of use. This tweak also has the hope of getting added to iOS 10.3 jailbreak tweaks. 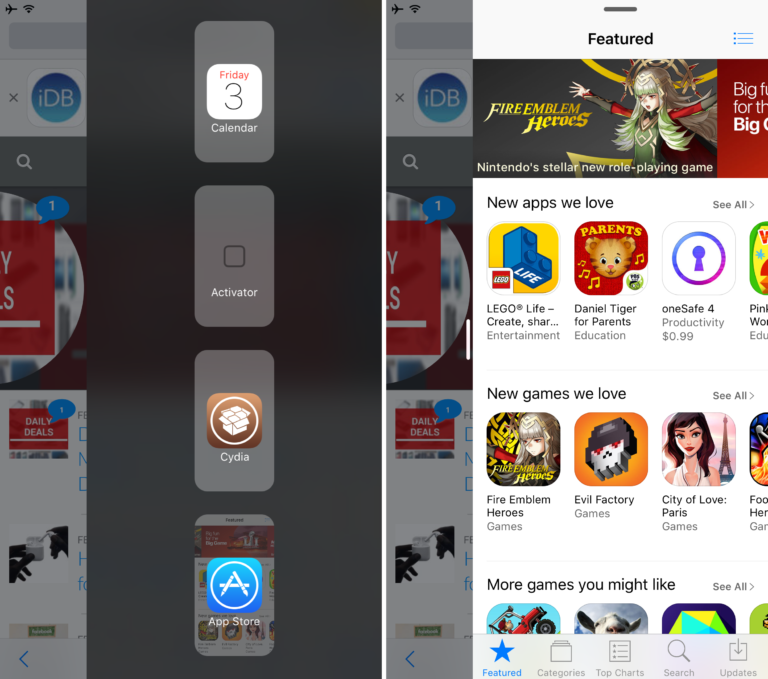 In fact, it comes targeting iOS 9 and iOS 10 devices to get the “Slide Over” and “Split View” interface to your device, which is Apple’s newest feature for limited device models. 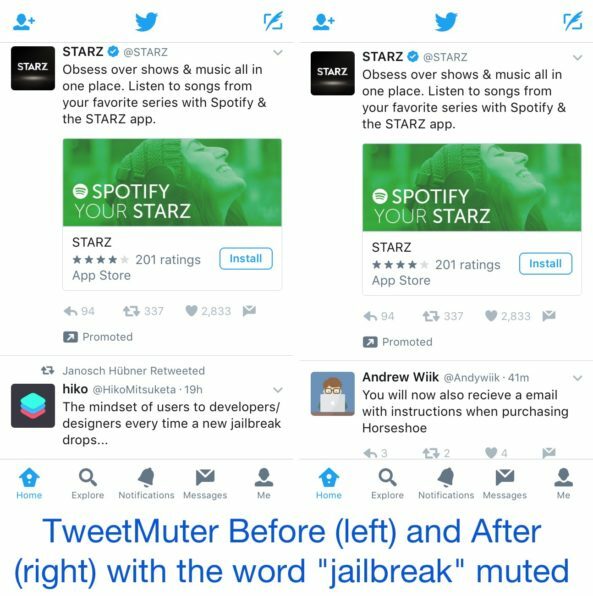 This is one of the best among free jailbreak tweaks which give you the option to block unwanted crap from your Twitter feed. So you can now keep what you only love in your timeline hiding other depending on your taste. And for the additional fact, this tweak comes with a special filtering feature to keep your notification tab well filtered. Like stated above, you will find many more notable additions now in Cydia to match with all upcoming iOS 10 jailbreak. No matter if you missed the chance for yalu102, head for all updated in the side of iOS 10.3 jailbreak which will be another major chapter iOS hackers would pay more attention over minor updates. The above given are the tweaks recommended and newly added for iOS 10. As we are still not with a workable jailbreak for iOS 10.3, these would come with minor/major changes in times ahead. So promising to update you with iOS 10.3 jailbreak tweaks soon with a favorable tool update, we wrap for now. Stay signed for us to get more exciting jailbreak and iOS facts.